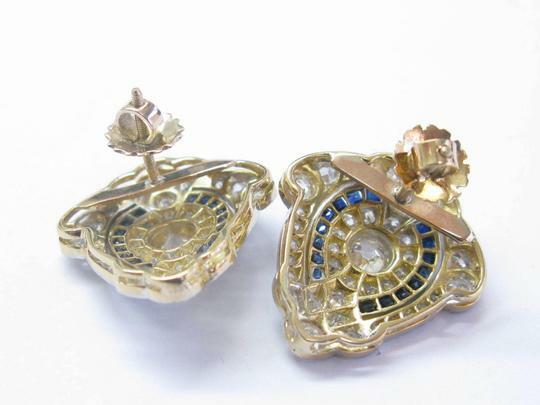 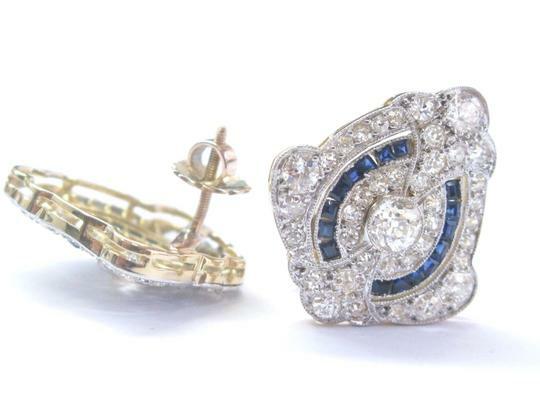 Here is a Fine 18Kt / Platinum Vintage Sapphire & Diamond Earring. Made from 18Kt & Platinum it weighs 7.9 grams. 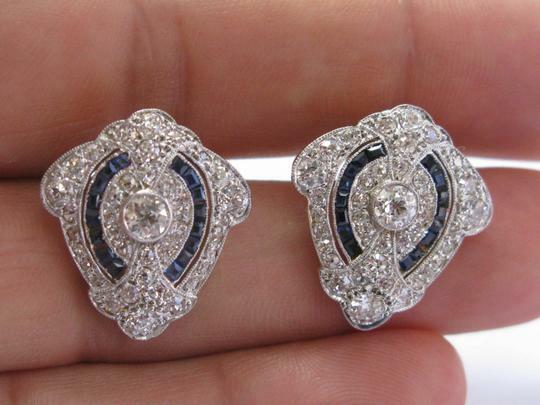 It holds 2 Natural Old European Cut Diamonds that add to .50Ct, 1.50Ct of Natural Old European Cut Diamonds, and are all F Color VS Clarity. 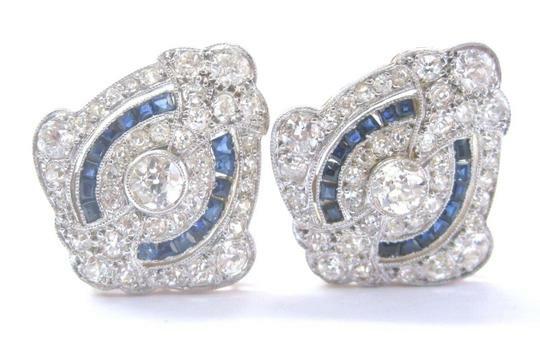 Earring also hold 1.00Ct of Natural Ceylon Sapphires. 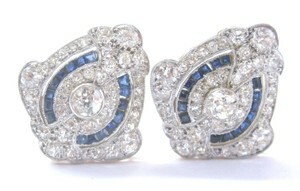 Earrings measure 22mm x 20mm. 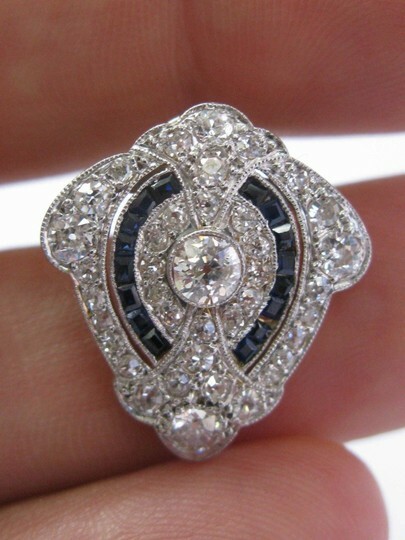 This Vintage piece is absolutely stunning and has been kept in Excellent Condition!